As players flood into the public test servers of Overwatch to find uses and counters for the new villain Doomfist, one player has found a rather interesting one: sitting down. 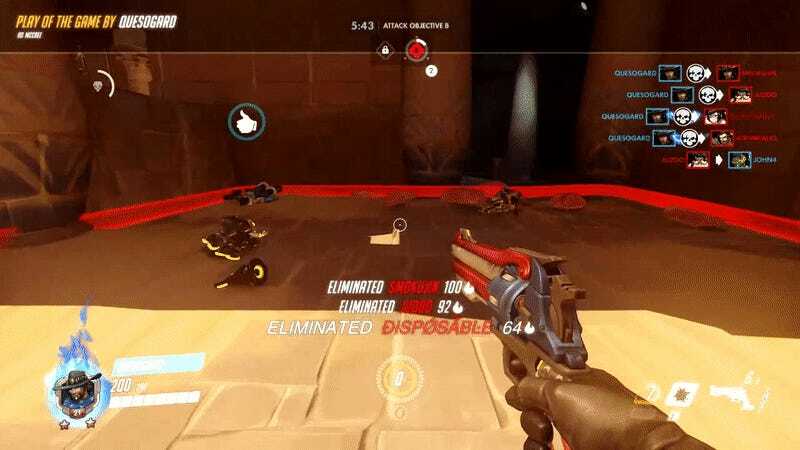 In a highlight posted on the Overwatch subreddit, after popping off a four-kill ultimate, McCree player “Quesogard,”decides to walk onto the point and take a seat to admire the their handiwork. As he eases on down, Doomfist player “Trunkz” comes flying in from just off-screen and whiffs, eating a full fan of the hammer from McCree moments later. Effective tech? Maybe not, but certainly satisfying to watch over and over again. If you’ve got any good counters for Doomfist, let us know in the comments.